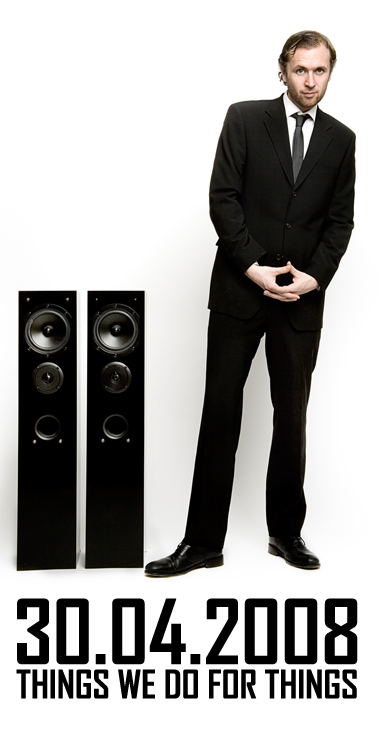 When Ken Ring released his last album, “Äntligen Hemma” he stated that it would be his last album as a rapper and that he from that point on would focus on producing. Fortunately he changed his mind and is now, the same year that he’s celebrating 10 years as an artist, releasing his 10th album. The album is called “Hiphop” and will be released sometime during May on Pope Records. The first single from this album is also called “Hiphop” and it describes his career and life in music. The track is availible exclusively from Axel Björklunds blog at Dn På Stan. This entry was posted in Nyheter and tagged Äntligen Hemma, Axel Björklund, Dn På Stan, Hip Hop, Hiphop, Ken Ring, P.O.P.E Records on March 23, 2009 by Daniel. The release of Chords higly anticipated sophomore album “Things we do for things” is getting closer and judging by the focus on him right now I’m guessing I’m not the only one looking forward to it! Last Tuesday P3 Hiphop played an exclusive track called “Stay Hungry” (those of you who has complained that he’s not”hiphop”-enough should get your hunger stilled by this track). And last night MTV Beat had a Chords special with interviews (in swedish only), videos and some more live-clips from the “Scandinavian Invasion”-show held in Paris a couple of weeks ago. In the interview he says that the new album will feature more singing, on choruses as well as whole verses. Musically this album is somewhere between his last album and the albums he’s done as helt off. The live clips featured 2 songs from the upcomming album, “Appetite for consumption” and “Places to Go”, both tracks sounds very promising and judging from what I’ve heard from this album this far It’s a classic! “Places to Go” is already a favourite and I’m keeping the video on repeat, when the album drops this track will definitely be on heavy rotation in my stereo! This entry was posted in Nyheter and tagged Appetite for consumption, Chords, Hiphop, JuJu Records, Places to go, Stay Hungry on March 29, 2008 by Daniel. New track out from one of Swedens finest MC’s! Chords, whom to the masses probably is mostly known for being Timbuktu’s sidekick, is finally getting ready to release his sophomore album “Things we do for things”. It’s been 5 years since his solo debut “The Garden Around the mansion” was released (and about the same time since I first saw him live with one of my worst hangovers ever) but he’s been keeping busy by releasing 2 reggaealbums under the name “Helt off” together with swedish producer “M.O.N.S” from “Breakmecanix” and numerous guestappearances as well as some heavy touring with Timbuktu and Damn!. But now the time we all been waiting for is finally here, “Things we do for things” is due on April 30 on JuJu Records and the first single, “Luckiest Man Alive” will be sent out to media very soon! 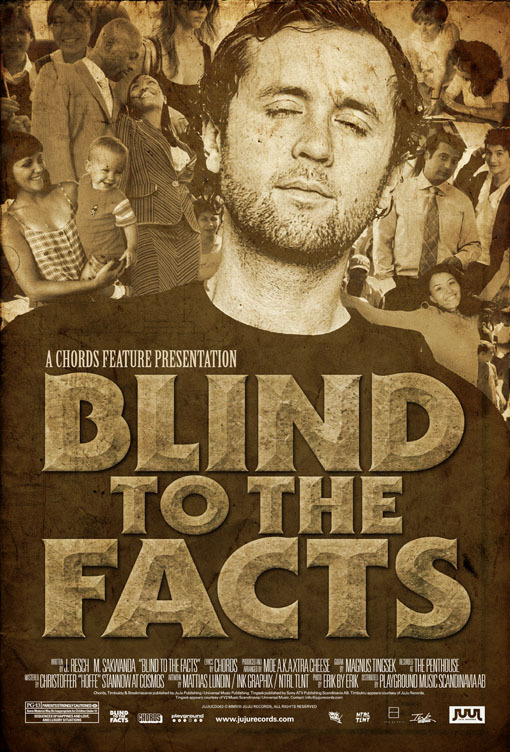 But as a sneak peak you can already download the track “Blind to the facts”. So be on the lookout, Swedens best kept secret is back! I guess I just leaked it! This entry was posted in Nyheter and tagged Blind to the facts, Chords, Hiphop, JuJu Records, Luckiest Man Alive on February 24, 2008 by Daniel.